Be present with the interview and answers, not distracted trying to figure out the next question. In this episode, I share some thoughts on interview format podcasts. Why and how they work, how to get the interview, and how to conduct effective interviews. Hello everybody and welcome back to another solo edition of the Law Podcasting Podcast. In this episode, we’ll be talking about interview format podcasting. Give you a reason to contact the subject where you’re not perceived as selling, or asking for their business… You can contact thought leaders, business executives, owners, etc, and have a reason to be in touch that isn’t threatening…. Interview subjects will share their episodes with their social media followers, etc… And that helps grow your audience, and influence. 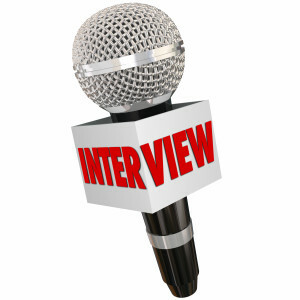 Interview format is among the easiest to prepare and conduct. You’re engaging in a dialogue, so you only have to hold up a portion of the conversation, while the subject does most of the talking about a subject he or she is already an expert in. You can be perceived as a “peer” or “equal” to the subject… And if you’re asking smart questions, you’ll be viewed as an expert too. (Marc Maron interviewed the president. Not a peer, but certainly an influencer). Interviews can be a little like testimonials… (this podcast, for example)…. By aspect of your overall game plan for your show. Maybe it’s a podcast producer you’ve hired. Describe in general terms the subjects you’ll want to discuss. Ask them to confirm availability… And then book the appearance. You could have a surprise – if you don’t build in a system for prep. Confirm the interview booking – explain your process, how you’ll connect, (where you’ll record), all the logistics. It makes sense to explain your editorial philosophy, too. Will you be editing the interview, or is it a live-to-drive kind of thing? If editing, will they have input? Review the person’s bio, background, etc. Review./read any relevant writings or articles, etc. Review anything the interviewee has provided for you. Plan the “flow of the show” – What do you want to draw out of the interviewee? What takeaways are you going for? Day before./day of – confirm again… Briefly. Be linear if possible. Don’t jump around too much. Take notes of interesting statements, thoughts, etc. (time code/elapsed time can help). Finish the interview, stop recording, thank and sign off. I generally do this the day that the episode goes live… So I know what the episode number is and can tell the interviewee the link. This way, I can encourage the person to share with his or her social media followers. Get started with a podcast for your practice, (or just for fun), you can get our Free Law Podcasting Startup Guide, when you sign up to access our video series (also free) on how you can grow your practice with more good clients and referrals, without breaking the bank.